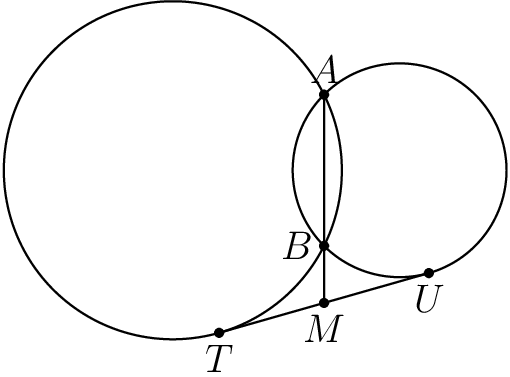 Two circles intersect at A and B. A common external tangent is tangent to the circles at T and U as shown. Let M be the intersection of line AB and TU. If AB = 9 and BM = 3 find TU. Since we've only given AM and BM, we can simplify.